Fun downloads just for our O-MAMAs. If you have an opinion you think needs a bump, let us know and we will “bump it out” for you and post it here for you to download at home! Got laundry? A funny thing happened on Twitter today. 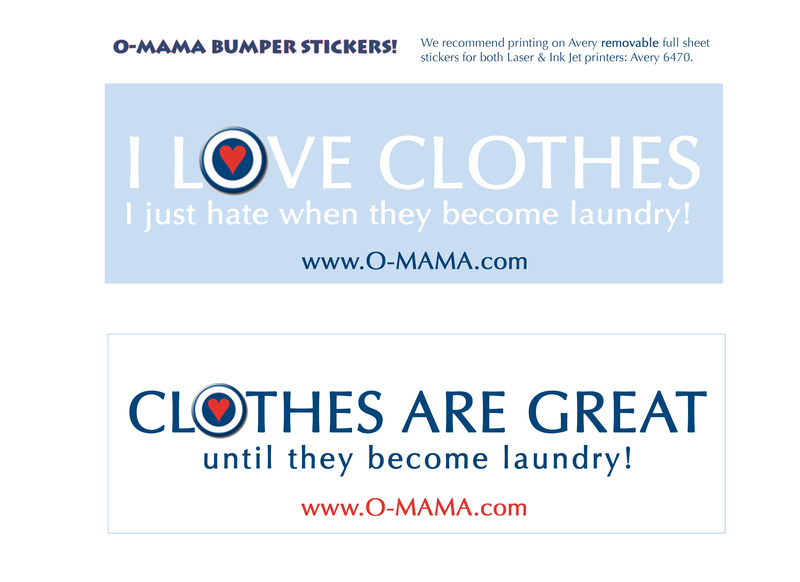 SarahButtonedUp, one of our MAMAs, tweeted: “Laundry: love it or hate it?” and we responded, “Clothes are great, until they become laundry!” She thought it would make for a cute bumper sticker, so we made one! If you have an opinion you think needs a bump, let us know and we will “bump it out” for you. 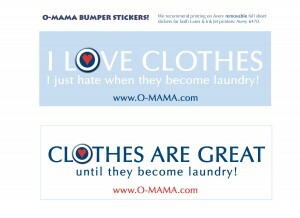 P.S., As always, if you want our FREE Opinionated MAMA bumper sticker, we’ll be happy to send you that, too. Just let us know where you want us to snail mail it! Email info to: support@o-mama.com.